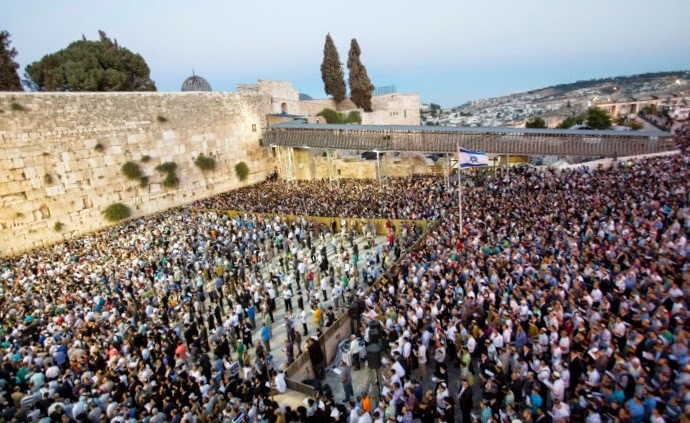 The following article, by Arnold Roth, was originally published by Times of Israel on June 26, 2014, and cross-posted by the editors of The Algemeiner and The Jewish Press, June 27, 2014. Yes. And a year ago we expressed our sense of the divergence between their rhetoric and reality in “Behind the facade at Parents Circle, messages that are deeply disturbing to bereaved families”. We noted than, and repeat now, that Damelin’s call appears to be addressed to Israelis alone. Her “cycle” is a singularly Israeli responsibility – the Palestinian Arab and Israeli Jewish members of Parents Circle are united in endorsing Palestinian victimhood and telling Israelis that the conflict is our fault. The Palestinians were left out when Robi Damelin wrote: “Israel is fast becoming the pariah of the world… we are losing our moral fiber”. In her worldview, the moral burden is entirely on one side. No Israeli needs to be reminded of where our collective concerns are right now: three boys, snatched by unknown people pursuing a malevolent strategy. For decades, Palestinians have turned hostage-takers and the murderers of Israeli civilians into heroes and legends. The demand of the Palestinian political leadership, echoed in Robi Damelin’s cry, is that the terrorists now in prison ought to be walking free. She and they improbably suggest this is how peace is made. Then there’s the fact that the Parents Circle piece fails to mention terror even once. It is simply not on their agenda. But since terrorism is central to the bereavement of so many Israeli families, its absence is worth noting. In stark contrast, the Israeli reality, hammered home by the empty beds in three ordinary Israeli homes, is that terrorists are very much the problem. We fully realize that stopping them by force will not in itself bring the reconciliation which Parents Circle says it seeks. But not stopping terrorists means we may not be around when reconciliation comes — if it comes. Israelis talk about peace a great deal, and mean it when they say they are ready for painful compromise if it brings peace. Yet at Parents Circle they say something quite different about us when they address non-Israelis. It’s a core Parents Circle message, as we noted last July, that the good work of Parents Circle constitutes “an alternative to hatred and revenge”. That phrase occurs repeatedly in their documents. We now understand that the hatred and revenge, for which Parents Circle offer “an alternative”, are what they tell the world the rest of us Israelis feel. Parents Circle’s very generous financial supporters, including the US and a number of European governments, are told they are funding an alternative to ‘hateful’, ‘vengeful’ viewpoints of bereaved families like mine. It’s a portrayal we find deeply repugnant. It is also quite untrue. We wonder whether the Parents Circle people hold any views about the moral fiber of any party other than Israel in the blood-soaked Middle East. And when Damelin describes Israel as “fast becoming the pariah of the world”, does she have an opinion about what the Gazans are fast becoming when they spend their scarce resources to train their own pre-teen children in the art of throwing hand-grenades and carrying out knifings? Parents Circle has claimed consistently over the years to hold “a thousand” presentations annually at some unspecified mix of Israeli and Palestinian Arab schools, addressing a fairly constant “25,000” students. If this is accurate, it means twenty assemblies a week, 52 weeks per year and no time off for religious holidays or summer break. Might it be that this is oversold in the organization’s marketing? Parents Circle activists do speak in Israeli schools. When they do, from the reports we have seen, their message is heavily political, made more powerful and palatable because the speakers are a seemingly-balanced Israeli and Arab pair. (That factor also helps them get past Israeli Ministry of Education guidelines.) That these pairs are given essentially unfettered access to rooms filled with Israeli pre-army high schoolers, and thus able to convey a message that undermines the case for Israel, is a concern for those Israelis who know about it. And if in fact they are speaking regularly in front of Arab school groups, as their marketing materials strongly imply, then we have two questions. (a) Why is there little to no evidence of this on their website and in their materials. And (b): What message do they deliver to those audiences? Does it advance peace, reconciliation and (especially) tolerance? How well does that work inside PA-controlled schools? About Hamas schools we won’t ask, for reasons every reader understands. If we could reach the audiences whom Parents Circle addresses, we would tell people about our daughter Malki and her beautiful life. We would tell them that Malki did not die because of the “occupation” or a disagreement on narratives. She was murdered for being Jewish by unrepentant Palestinian terrorists who declare proudly that they meant it and are glad they did it. We can and should discuss real peace options based on mutual understanding and eventual reconciliation with the Palestinian Arabs along with the rest of the Arab world. But first we must secure our families and our communities. To this, bitter experience teaches, there is no alternative.